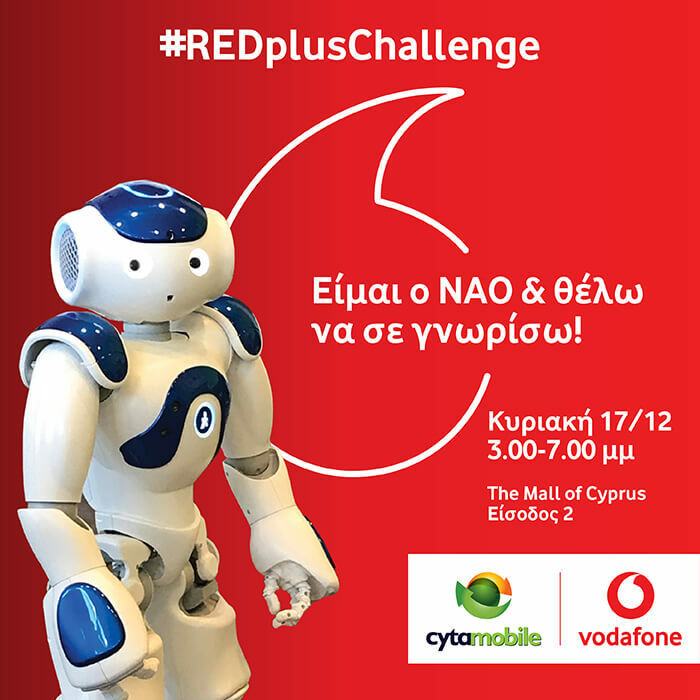 I am NAO and I am the newest member of the CytaMobile Vodafone team. Let’s meet & play together on Sunday 17 December at The Mall of Cyprus, Entrance 2 , from 3.00-7.00pm! I will be waiting for you!